Buy Product A and get 20% discount on Product B. The customer can get a discount only if he purchases the Product A. 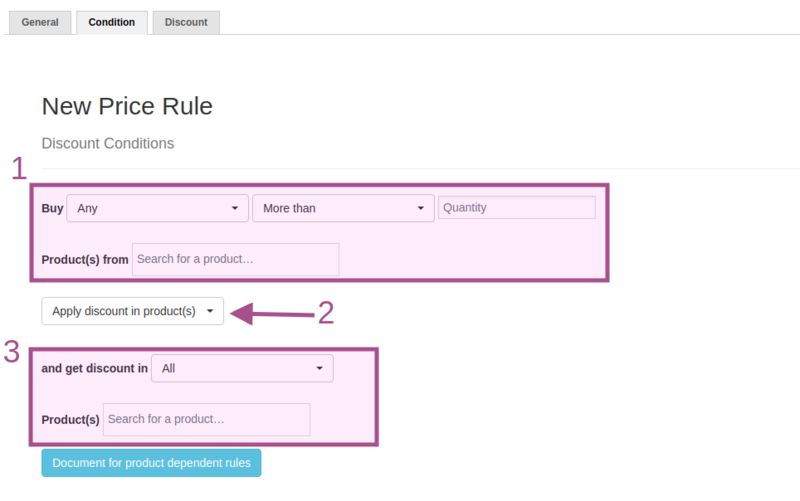 Using Dependant product based rule, you can be able to create discounts based on the dependency between products and the quantity which gets the discount. There are few interesting features in this type like to skip first quantity for the discounts, any product quantities, combination of products. 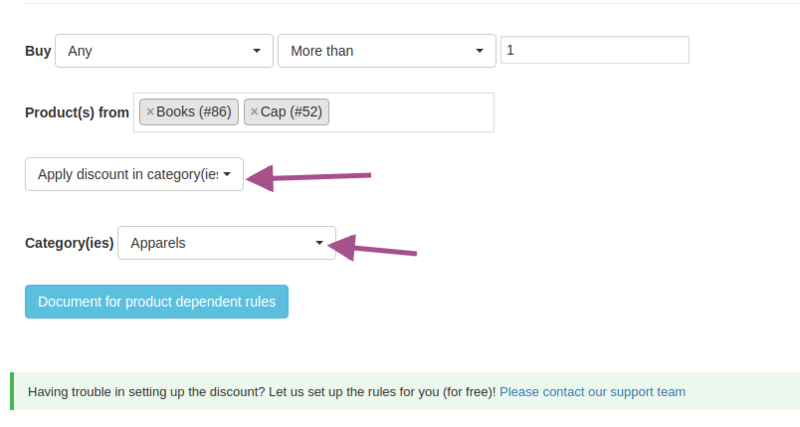 Let us see the concepts and few example discount scenarios which can be achieved through the dependant product based rules . 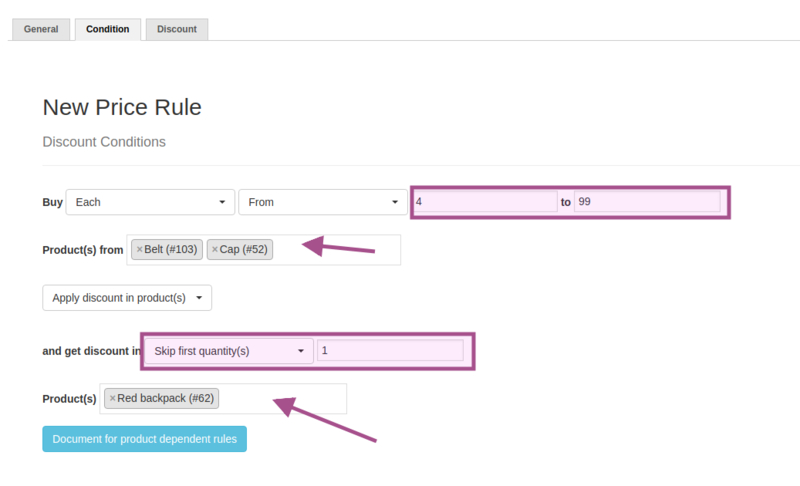 Choose Method: Dependant product based rule from Price rule. Validity : You can fill in the start and end date of the discount rule or you can leave them empty for the rule to take immediate effect. NOTE: Leaving the TO field empty means the discount would run forever. Have a check on the current date and time of your server, which might effect the start of your rule. Any , Each , Combine are the 3 conditions. Any : condition works like any of the selected products in the product selection on the specified quantities. 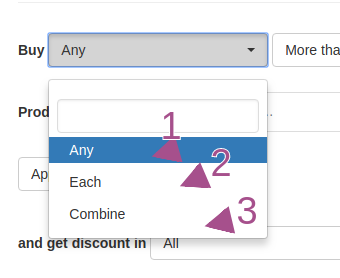 You can apply the discount to selected products alone or to a entire Category. When the cart satisfies the Buy condition, then the discount will apply in the get conditions. Buy Product A and Product B to get 20% discount in product C.
In the above condition: When Each of the product T-shirt and Denim Jeans are in cart, then the discount will be applied for Belt. You can also, provide a Price discount or a percentage discount. If you want to give discount only for 1 quantity of the Get product , when any number of those are in cart, you can use First quantity to give discount. First 2 quantities etc. So, rest of the quantities they purchase will be charged. The discount will apply only from the second quantity of the products. That is, the first quantity will not be given with discount. 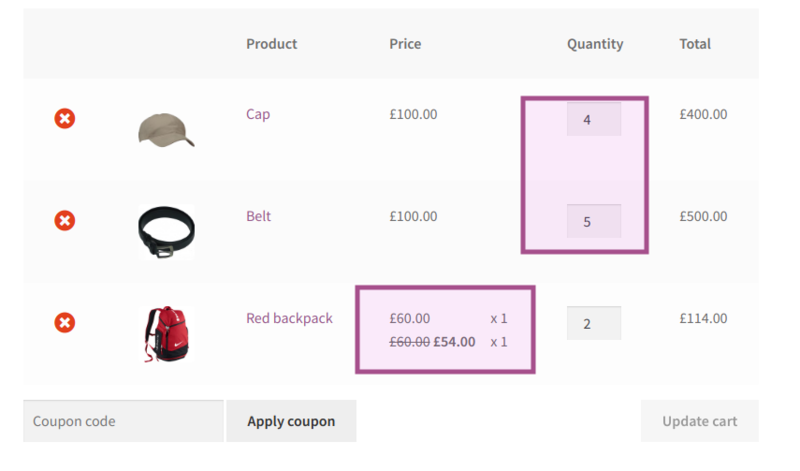 You can proved how many quantities that has to be skipped from the discount. so, the discount will be applied only to the first quantity.